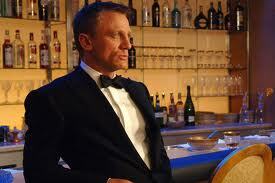 James Bond is set to sip a Heineken in his next movie, as the beer giant pushes its flagship brand. Bond, played by Daniel Craig, will swap his usual martinis for a Heineken in at least one scene of “Skyfall”, the latest installment in the long-running movie franchise. The actor will also star in a Heineken advert. The 007 franchise and the alcohol brand have a 15-year partnership, but this is the largest collaboration, as the campaign will also include Bond images on packaging.